Unpublished shifts are not visible to employees (team members). Unpublished shifts are indicated by diagonal background lines. When publishing shifts, you can also notify team members. This is the best way to distribute your schedule to your team. To publish or unpublish a single shift, click on the shift, toggle the Published option and submit the form. 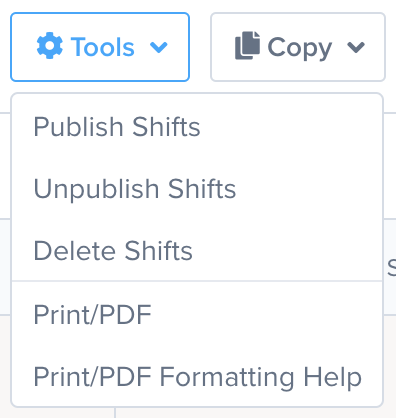 To publish multiple shifts, click on the Publish button, or click on the Tools drop-down. Then click the Publish Shifts or Unpublish Shifts option. Next, select the date range you would like to publish or unpublish. 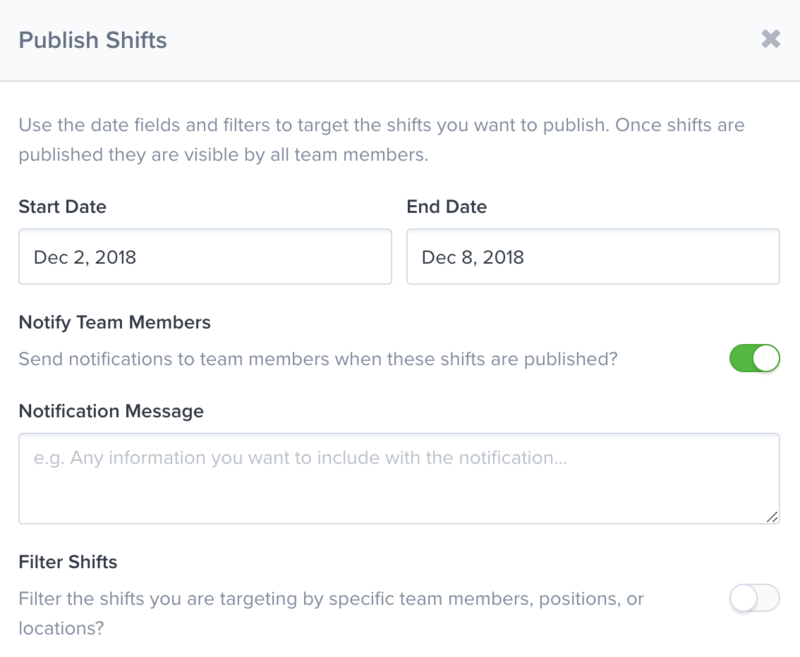 If you are publishing shifts, you can send a notification to your team with a message. Note: Notifying team members will send a summary of their shifts for the given date range. Team members can adjust their notification settings to receive email, push, and text messages.Learn more about editing notification settings, here. Filter which shifts you want to publish or unpublish by positions, locations, and employees. B y default, any filters you have set will be selected. Once you submit the form, the shifts for the date range you selected will be updated.